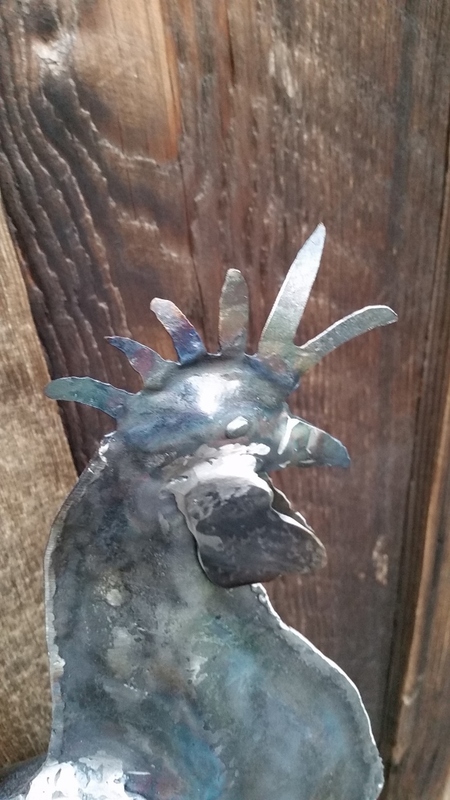 Hand forged and welded steel rooster for your garden. 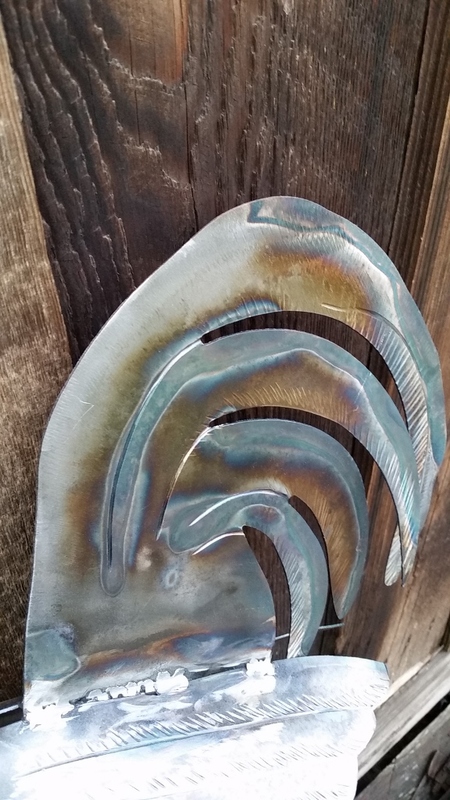 A wonderful piece of garden art to add to your collection. 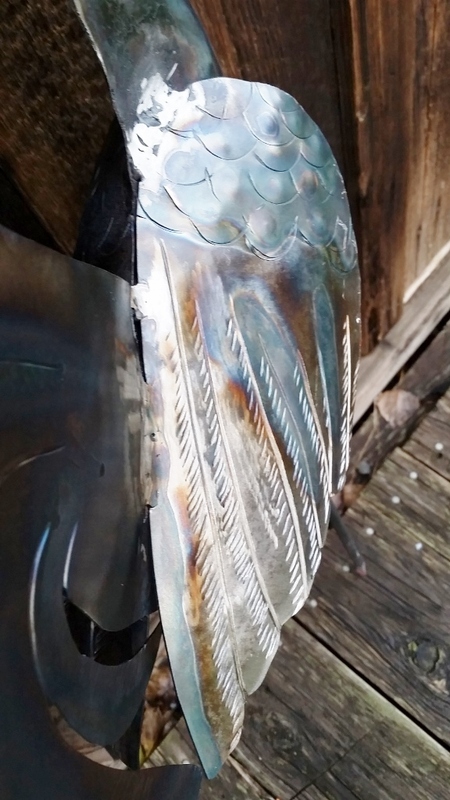 The steel was torched to give it the beautiful colors. About 24"x20". Rooster is considered "full body" and not "flat". 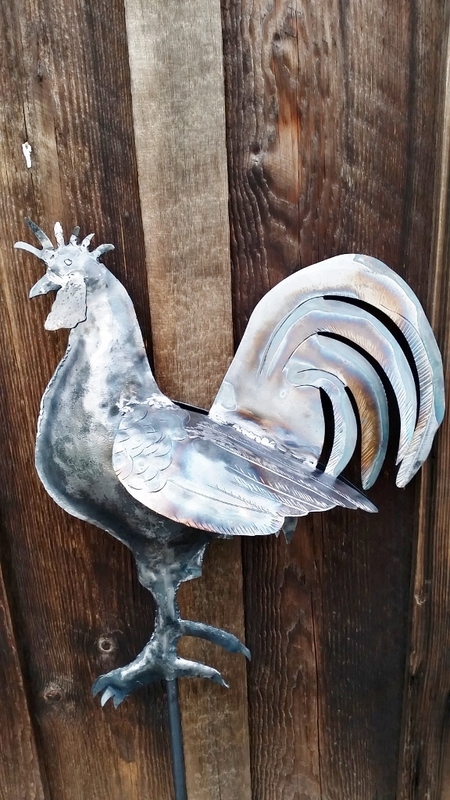 The rooster can be mounted on any length pole you choose. 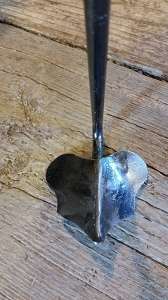 Total overall length shown in picture is 36", which is the standard length that comes with the product. Additional cost for longer poles. Please allow at least 2 weeks.